Lawrence speaks with BKWâ&#x20AC;&#x2122;s Thomas Zinniker to explore how technology is driving optimised and sustainable business operations. On top of this, we discover how The Public Investment Corporation (PIC), an asset management firm wholly owned by the government of the Republic of South Africa, is tackling sustainability, transparency, diversity and equality in a changing world. We also take a look at the top 10 offshore windfarms and key sustainability events set to occur throughout 2019.
leading with a corporate-first approach, embracing innovative technologies throughout its transformation journey. Visit the BusinessChief.com website and sign up to receive exclusive access to one of the worldâ&#x20AC;&#x2122;s fastest growing business news platforms. IF YOU LIKE US FOLLOW US! JOSHUA NOLAN T 561-404-7036 U.S.
CLICK TO WATCH : ‘ARDENE IS A FAMILY-OWNED CANADIAN VALUE FASHION RETAILER BASED IN MONTREAL, QUEBEC’ 17 Ardene Collective, the company’s CSR team is emphasizing the fact that sustainability “will not be a simple effort, but will require that we all continue to shift our frame of mind and daily thinking as one collective team”. Ardene organizes its sustainability initiatives into four pillars: People, which includes the wellness of its workforce, including extended partners; Planet, which covers recycling, waste, energy and water; Product, which deals with merchandise, packaging and supply chain efforts; and Policies, which includes compliance and certifications. 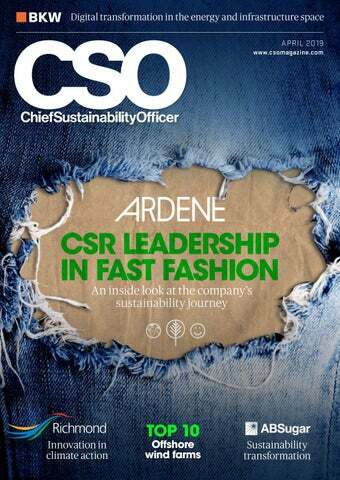 Congratulations to Ardene on your world class Sustainability Transformation and CSR efforts. We are proud to be your Partner. inherent in the apparel industry. good is a hands-on part of our culture. Dr Mark Carr, “but represent the next step of our journey towards becoming the world’s leading sustainable sugar business.” Managing sustainability across such a large corporation can be as challenging as it is rewarding. supply chain from an agricultural base. through to the detail changes in factories. in Malawi and its innovation ‘in the field’. cane management website and system. support to those in the field. This new system also helps us support our irrigation management, getting water to the right place at the right time. years. During this period, utilities have undergone many disruptive developments. grid. It also provides them with the ability to trade the power they generate. CLICK TO WATCH : ‘ARE YOU READY FOR GARTNER SUPPLY CHAIN EXECUTIVE CONFERENCE?’ 41 work with an aggregator — an intermediary that brings together the generation, storage assets and capabilities for many prosumers — to store and sell energy to others. the utilitiesâ&#x20AC;&#x2122; operating costs and national subsidies. household will participate directly in the established centralised power markets, they may do so indirectly through a third party or aggregator. This aggregator could be a utility, or a new entrant. In the longer term, this process could be managed and optimised by AI. Certain regions are also already utilising blockchain technology to create and operate new local energy trading markets, on top of existing physical networks. For example, Brooklyn Microgrid is developing a community-powered microgrid where participants can engage in a sustainable energy network and choose their preferred energy sources, locally. And in the Netherlands, Powerpeers, launched by Vattenfall, is a marketplace where customers can decide who they receive their energy from, and who they supply with their self-generated energy. This disruption is currently in its early stages, but the impact on the existing traditional and centralised electricity markets could be significant in the coming years. force for green energy solutions. under the sun in terms of sustainability”. which was a supercomputer company for five years. I have experienced both in the government side and then the business side of things.” He pauses, momentarily, before another of the many strings to his bow leaps to mind. “And then, actually, I also worked for the Sierra Club, which is the largest environmental nonprofit here in the United States, for about a year.” With Kinect’s global client base spanning multiple industries in the public and private sectors, the Director of Sustainability Services role fits him to a tee. then develop your carbon footprint. based on the efficiency of production. to Kinect’s strategy going forward. application cost and initial fees. how Soltage can help its customers. Rampion 400MW Construction on the Rampion Offshore Wind Farm began in 2015, six years after planning for the project began. Located in the English Channel, off the coast of the county of Sussex, the farm is made up of 116 turbines, each with a capacity of 3.45MW. The turbines are 140m tall with a wing span of 112m in diameter. 27km of buried onshore cables are used for the farm, with the total length of inter-array cables reaching 144km. The energy created by Rampion is enough to power 350,000 homes and reduce approximately 600,000 tonnes of emissions per year. Veja Mate 402MW The Veja Mate was built in the North Sea near Germanyâ&#x20AC;&#x2122;s coast and around 95km from Borkum island. 67 Siemens SWT-6.0-154 turbines make up the farm, each with a 6MW capacity and a rotor diameter of 154m. Highland Group, Siemens Financial Services and Copenhagen Infrastructure Partners sponsor the farm. Veja Mate can produce enough energy to power 400,000 homes in Germany per year. Throughout the farmâ&#x20AC;&#x2122;s lifetime, it should offset more than 18mn tonnes of CO2. Dudgeon 402MW The Dudgeon Offshore Wind Farm similarly has 402MW of total capacity, made from 67 6MW wind farms. The site is 32km from Cromer, on the UKâ&#x20AC;&#x2122;s eastern coast. The project reached completion towards the end of 2017, costing ÂŁ1.4bn (US$1.8bn). The farm is owned by Equinor, Masdar and China Resources (Holdings), and operated by Equinor. Dudgeon can produce enough power for 410,000 homes within the UK. Its Operations and Maintenance base can be found in Great Yarmouth, Norfolk. Gwynt y Môr 576MW Located off the North Wales coast, the 576MW capacity farm uses 160 turbines. Each turbine is around 150m in height and has a 3.6MW capacity. During the development of the project, approximately 134km of onshore cables were connected to the farm. Around 400,000 houses can be powered by Gwynt y Môr every year. The 80km farm is operated by Germany’s innogy, along with its partners Stadtwerke München, Siemens, and UK Green Investment bank. Gode I and II 582MW The Gode Wind I and II offshore farms were inaugurated by Ørsted (at the time DONG Energy) at the Danish Embassy in Berlin in 2017. The joint farms have a total of 97 turbines – with 55 in Gode I and 42 in Gode II – which could power 600,000 homes in Germany. “These large-scale projects are testament that offshore wind has become a reliable, predictable and cost-effective technology which will contribute significantly to Germany’s energy transition,” stated Samuel Leupold, member of DONG Energy’s Executive Committee and CEO of Wind Power, at the time of launch. Gemini 600MW The Gemini Offshore Wind Park was developed to help reach the goals of ‘Paris 2050’, and can be found 85km from the coast of the Netherlands. The farm’s shareholders include Northland Power, Siemens FS, HVC, and ALTE LEIPZIGER/HALLESCHE. “This consortium of energy, technology, marine contracting and engineering combined both expertise and the assets needed for a project of such scale and relevance,” the Gemini site claims. €2.8bn ($3.16bn) was invested into the project, which can power 800,000 homes. The park also offers an app to see live wind speeds at the site. was spent constructing the project. Each monopile foundation used for the farm is up to 68m long, 5.7m wide and weighs as much as 650 tonnes. The first 177 foundations for London Array were installed in May 2011, which was followed by the inauguration in Margate, on 4 July 2013.
massive feat of engineering was constructed on time and within budget, together with our partners PKA and PFA,” Ørsted claims. 87 turbines form the Walney Extension – 47 are MHI-Vestas 8.25 MW models and 40 are Siemens Gamesa 7 MW turbines. The project was inaugurated on 6 September last year, eight years after a lease was granted to extend the Walney Offshore Wind Farm by an additional 750MW and more than 145 sq. km of sea area. experts are also conducted at the show. the integration of renewable energy. Mumbai, Beijing and São Paulo. ers and partners of the solar industry. Mayor Malcolm Brodie of the City of Richmond, British Columbia, and City staff, Peter Russell, Senior Manager of Sustainability, and Alen Postolka, District Energy Manager, discuss how the City’s climate actions are transforming Richmond. Malcolm Brodie has been a member of Richmond City Council since 1996. Following a by-election, he was sworn in as Mayor on October 29, 2001 and was re-elected in 2002, 2005, 2008, 2011, 2014, and most recently in October 2018. Mayor Brodie has represented Richmond on the Board of Directors of Metro Vancouver since taking office in 2001. He currently serves on their Water Committee, Performance & Audit Committee, Finance & Intergovernmental Committee, Mayorsâ&#x20AC;&#x2122; Committee, and the Industrial Lands Strategy Task Force. He has represented Metro Vancouver on the Municipal Finance Authority and the National Zero Waste Council, and is currently the Chair of both these organizations. He is also a member of the TransLink Council of Mayors. Before election to Council, Mayor Brodie was a practising lawyer and had a long record of service to Richmond in the volunteer community. In honor of his contributions and achievements in the community, Mayor Brodie is a recipient of the Commemorative Medal for the 125th Anniversary of the Confederation of Canada, the Queen Elizabeth II Golden Jubilee Medal, the Queen Elizabeth II Diamond Jubilee Medal, and the Canada 150th Anniversary Medal. for over 30 years on a smaller scale. District Energy Solutions We explore the possibilities that make sense for you. CORIX Utilities designs, builds, finances, and operates sustainable energy solutions for infrastructure challenges of all sizes and degrees of complexity. Whether your project involves new construction or a retrofit, our innovative systems give you the flexibility to scale your system as your needs grow, adapt to alternative energy sources, and incorporate additional utility systems. Halifax and other utility companies. in similar technology,” says Russell. Peter Russell is the Senior Manager, Sustainability and District Energy for the City of Richmond, B.C. 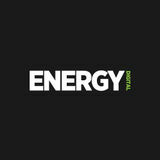 ; his team focuses on community, corporate and district energy programs and environmental protection. He is a trained environmental engineer, an award-winning professional planner and an experienced sustainability manager, having worked with the cities of Vancouver and Surrey, B.C., prior to Richmond. Russell also worked with cities across B.C. as a consulting planner for 10 years, developing sustainability, land-use and energy plans. Russell holds a Bachelor degree of applied science in environmental engineering and a Master degree in science in community and regional planning. Alen Postolka is the District Energy Manager with the Lulu Island Energy Company responsible for advancing the development of district energy systems in the City of Richmond, BC. He is a professional engineer, a certified energy manager and certified professional with 25 years of experience in mechanical engineering, building science and project management. Postolka holds degree a Bachelor of Science in mechanical engineering from the University of Zagreb. was selected and we started to negotiate and look at how they can help us to deliver this project,” added Postolka. Corix is a privately held corporation, principally owned by the British Columbia Investment Management Corp., with offices in Vancouver, B.C., and Wauwatosa, Wis. Both parties would enter into an MOU to define roles and responsibilities in 2011, a process for working together and a compensation commitment to Corix should an agreement not be reached. The process for working together included two distinct stages: first, a due diligence phase that included infrastructure, business and financial planning, and, finally, development and execution of a long-term concession agreement. In 2014, Corix and the Lulu Island Energy Company executed a concession agreement that will see Corix design, build, finance and operate the system over 30 years, while Lulu Island Energy Company would manage the infrastructure. Richmond City Council is the regulator of utility rates. “Corix has been a great partner. We have a great working relationship with their team; they’ve served our customers well and have delivered our capital projects on time and on budget, in fact, often under budget,” says Russell. AN INNOVATIVE APPROACH TO INTERNATIONAL SITE NETWORKING UPC Business operates a software-defined global WAN for BKW. Stephan Ging, Director Solution Business Sales, outlines in the following interview why Managed SD-WAN is the ideal solution for the energy and infrastructure services group. UPC Business is a leading provider in the area of site networking in Switzerland. How is business developing in the large enterprise segment? We are present with our fibre optic network not just in the urban centres, but in all regions of Switzerland. This makes us an attractive partner for WAN solutions for large-scale enterprises from all sectors. Over the last 20 years we have grown steadily, over the past financial year alone by 9.2 percent. We are especially pleased that we were able to expand our share of the market in the security-sensitive financial sector. Our customer base includes more than half of all cantonal banks. We have succeeded in winning renowned customers in other sectors as well, such as insurance, industry, retail, energy and health. tions in the data centres and in the cloud are always available at every desired location and on every terminal. In addition, our clients have every right to expect that security is guaranteed at all times. We know our customers’ requirements very well, because we inform ourselves thoroughly about their business models and analyse their needs exactly. In this way we can together develop the optimal solution. From the very beginning we point out what is feasible, and in cooperation with our partners, we offer individually designed overall solutions with significant added value. Software-defined networks are in vogue and are replacing older technologies. What does this development mean for company networks? from our point of view the SD-WAN market had not yet reached the maturity necessary for the defined requirements. BKW subsequently engaged in constructive dialogue with us, after which the invitation to tender was revised again. This final invitation to tender included a total of three parts: access, SD-WAN and security. Regarding SD-WAN, Cisco best met the demands. We offered the entire package, and in the end prevailed over our competitors. The deciding factor was ultimately the fact that both contracting parties were willing to set forth on a path for which the goal was clearly defined, although the way to get there was still unknown. In the course of realisation it became evident that BKW and UPC Business were agreed on one crucial aspect: We can and will pursue trailblazing solutions! Which specific advantages does SD-WAN offer for BKW? BKW can use a variety of connectivity options and cut costs in the area of access. The SD-WAN creates homogeneity throughout the group — for the communications capabilities, application performance, cloud access, Internet access, and security. BKW has a homogeneous overview of the service behaviour. Other benefits are the central management and the visibility it brings, the simple handling of adaptations and the easy access to cloud services. Over the long term, BKW will benefit from the innovative potential of a market-powerful software developer. Which reasons are in favour of Managed SD-WAN? At the forefront is easing the burden on the IT department. When it no longer has to take care of planning, implementation and operation of the WAN, it has more time for the needs of users. In the end, satisfied users are more relevant for the success of the digital transformation than operation of a WAN infrastructure is. It merely helps to create the ideal technical conditions. What is your impression of the journey so far with BKW? What are the most important factors which led to the success of the project? For both companies, adopting new technology involved special challenges from the very start. So far we have mastered these challenges well, because we work closely together and communicate openly. across each of BKW’s business units. the interest of their employees. under the auspices of Eisenhower Fellowship (EF) in the United States. The purpose of her EF journey was to to determine if the US market has evolved in terms of ESG integration to a point where ESG is fully integrated into the investment process, and consequently if they are able to quantify its value as part of equity valuation. Based on the information she collected during her fellowship, Manavhela decided to pursue her aspiration of studying and is currently working on her PHD, further exploring the role and value of ESG in business.